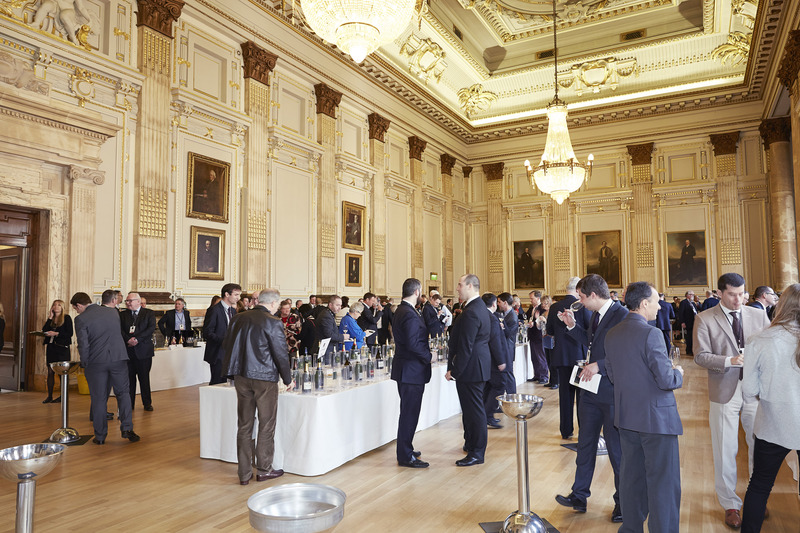 Every year, the UGCB (Union of Bordeaux Grands Crus) organizes tastings in all of the world’s big cities. 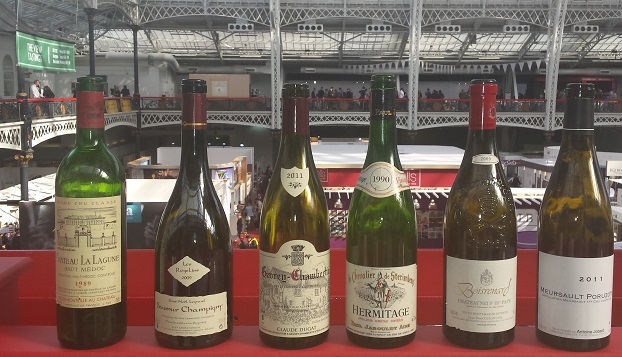 Our team was lucky enough to participate in the Parisian tasting of the 2016 vintage last week, with no fewer than 111 châteaux present. We share our top picks. 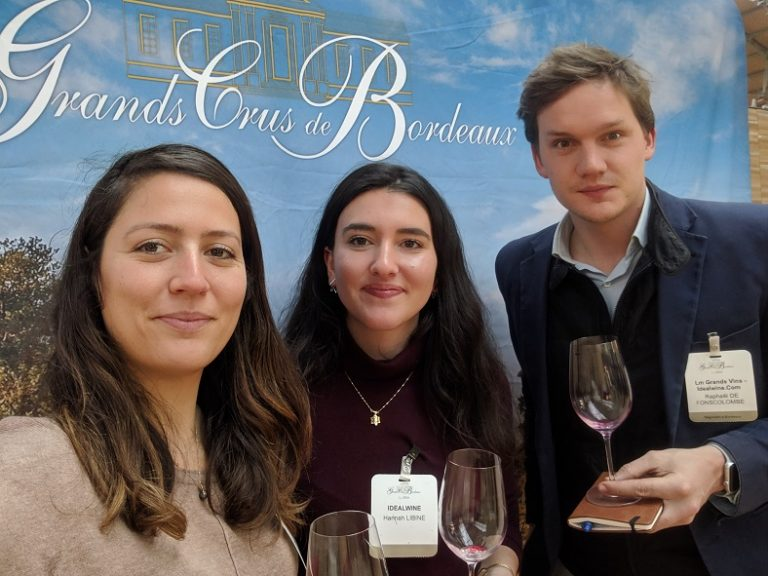 The Union of Bordeaux Grands Crus brings together 134 Bordeaux châteaux, of which some prestigious members are Château Cheval Blanc, Château Mouton Rothschild and Château d’Yquem. Last month, the UGCB elected its new president,39-year-old Ronan Laborde of Château Clinet, who succeeded Olivier Bernard of Domaine de Chevalier. 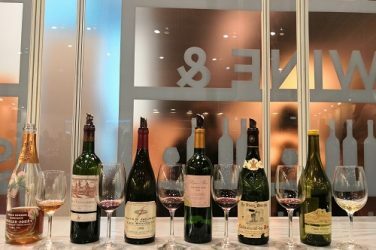 A youthful boost for this association whose aim is to promote Bordeaux wines throughout the world. 2016 is a paradoxical vintage. In the beginning, it looked like it wasn’t going to be as good as the previous year, as the first part of the year had been too wet, with heavy downpours beating down on the vineyards. Everyone feared mildew would be a problem. The second part of the year was extremely dry, which meant that worries of disease abated, however very dry weather causes hydric stress for the vines. Some precious drops of water in September gave the vineyards the much-needed hydration that they had been missing during summer. The 2016 vintage has ended up having a warm, concentrated profile. The nose is full of fruit, the palate is suave, with tannins which are more well-rounded than those in 2015. 2016 was a generous year in terms of quantities, with 7% higher production than the previous year. White: one of our absolute favourites. It struck us with its complex nose, with exotic and oaky aromas. Vibrant on the palate, with a nice minerality typical of the gravel soils. Balanced and elegant. Red: this Péssac-Léognan is characterised by the warmth of the vintage. The nose is powerful and expressive, with grilled and smoky notes. Tannins still present, though we’re sure that they will soften after a few years and the wine will show all of its potential. Red: Aromas of red and black fruits which mingle with oaky notes. Full and mineral on the palate, with all the characteristics of the Pessac-Léognan terroir. The tannins are present and will soften after a few years in the cellar. Red: this domain confirmed its unique character in the landscape of Bordeaux Grands Crus. By including some whole bunches during vinification, this 2016 has a perfect balance between power and finesse of tannins. On the palate, there is a delicious richness, and despite its youth, It is already drinking well today. Its concentration and aromatic length invites us to wait a few years before enjoying the wine’s full potential. Red: always characterised by elegance and finesse, this vintage from Haut-Bailly is richer and denser than previous vintages. Its generosity and intensity are marks of a great vintage. White: ripe yellow fruits, citrus fruits and honeyed notes. Dense and long. Red: aromas of black fruits, liquorice, sunny profile. Powerful and warm on the palate, while retaining a lovely balance, lovely substance. Aromas of small red fruits (cherry), oaky notes. Direct, balanced and powerful, with elegant tannins and a nice length. A true classic of Saint-Emilion, we’ll never tire of tasting Troplong-Mondot. On the nose, the 2016 is floral, with intense notes of violet thanks to the predominance of Merlot. Merlot in fact makes up 90% of this wine. The remaining 10% of Cabernet Sauvignon brings structure. On the palate, it is supple and silky. A very elegant wine which will only improve over time. On the nose, aromas of black fruits and graphite. Château Clarke wines are matured for 18 months in barrels, lending the wines notes of pencil lead. Well-rounded and mineral on the palate. A balanced, silky wine; very pleasant to drink. Fresh, crunchy fruit. Elegant and fresh on the palate. Made up of 60% Cabernet Sauvignon blended with Merlot, Cabernet Franc and a touch of Carménère. On the nose, floral aromas (violet) and red fruits. Mineral, oaky notes on the palate, lending a nice structure to the wine. This wine has excellent aging potential. Aromas of black fruits and liquorice. Fresh and silky on the palate, well-rounded and full-bodied with elegant tannins. Remarkable complexity on the nose, with aromas of red fruits and leather, mushroom and notes of oak. On the whole, a powerful structured wine with rare elegance. Concentrated on the palate, with rich tannins and lovely hints of spices on the finish. Discrete but fruity nose (black fruits, mint notes). Frank, sophisticated and charming on the palate, with nice tannins and suppleness. Fargues is one of the great Sauternes wines. The nose is powerful, with aromas of exotic fruits and citrus fruits. On the second nose, smoky notes and sweet spices add to the complexity of the wine. Rich and unctuous on the palate, with a nice freshness. 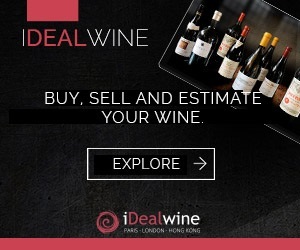 Year in year out, the knowledge of Hong Kong oenophiles never ceases to amaze us.